Ahh, the weekend has arrived 🙂 Hopefully everyone is recovering nicely from their St. Paddy’s day shenanigans. I went out early and was in bed by 10pm, so I’m up and at it this morning with some exciting new blog content in the works for the next couple of weeks! This post is actually about a week overdue, considering that it’s a recipe from last week’s meal prep. 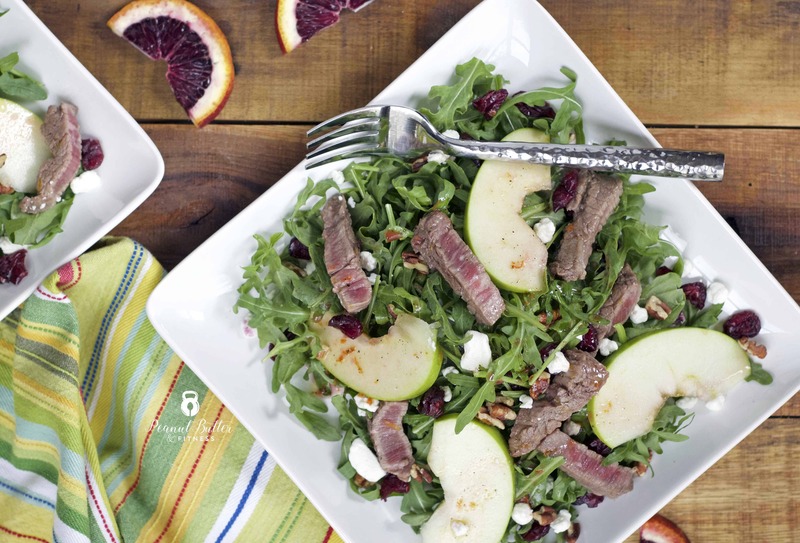 I actually already posted the recipe, but this hearty yet refreshing steak salad deserves it’s own spotlight. I used some of the few remaining blood oranges that I could find to make the citrus vinaigrette for the salad. I love them because their juice is so bright and refreshing, not to mention the pretty pink color! You can certainly use a regular orange if you can’t find blood oranges anymore since we’re coming to the tail end of their prime season. 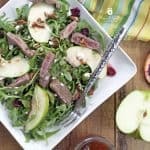 If you plan to use this recipe for meal prep, just be sure to toss the apples in a bag with a bit of fresh squeezed lemon juice to keep them from browning throughout the week. Mine did great even after a full 5 days in the refrigerator! 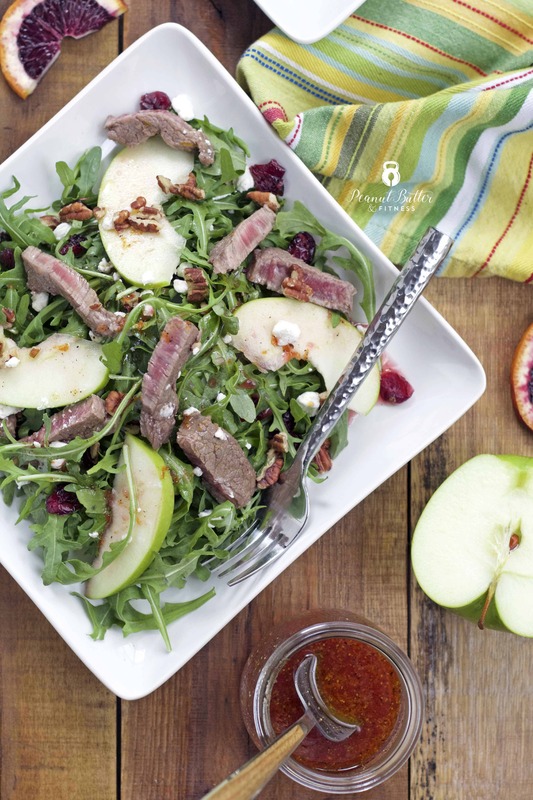 Whisk marinade ingredients and pour over sliced steak in a resealable container. Refrigerate for at least 1 hour. Whisk vinaigrette ingredients and set aside. 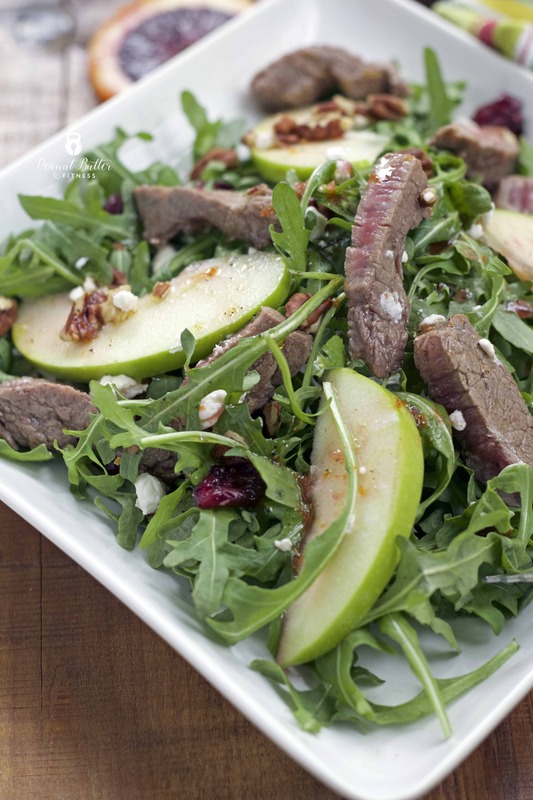 Assemble arugula, sliced green apple, dried cranberries, pecans and goat cheese in serving dish. Heat large pan over medium-high heat. Add steak and cook until just barely cooked through, about 5-7 minutes. 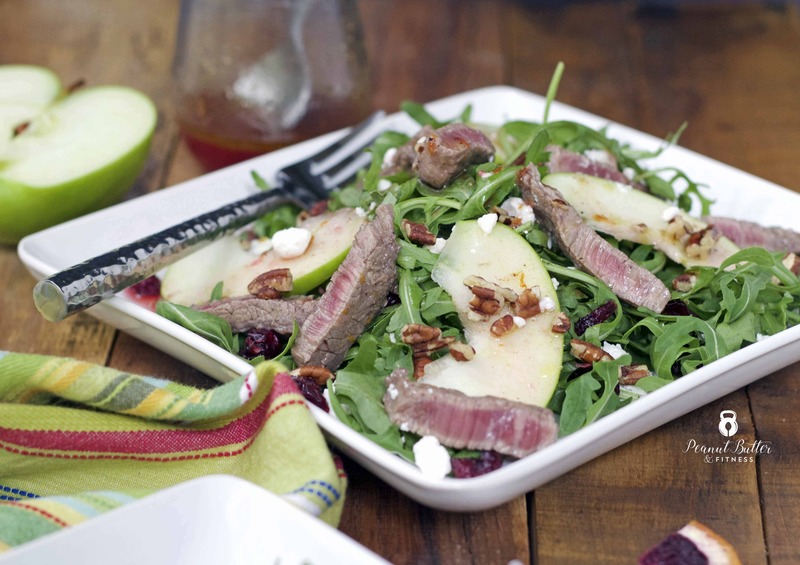 Serve on top of salad and top with vinaigrette. Make this a grill friendly recipe by marinating the flank steak whole and grilling for about 5 minutes per side. Allow to rest about 10 minutes before slicing thinly against the grain. 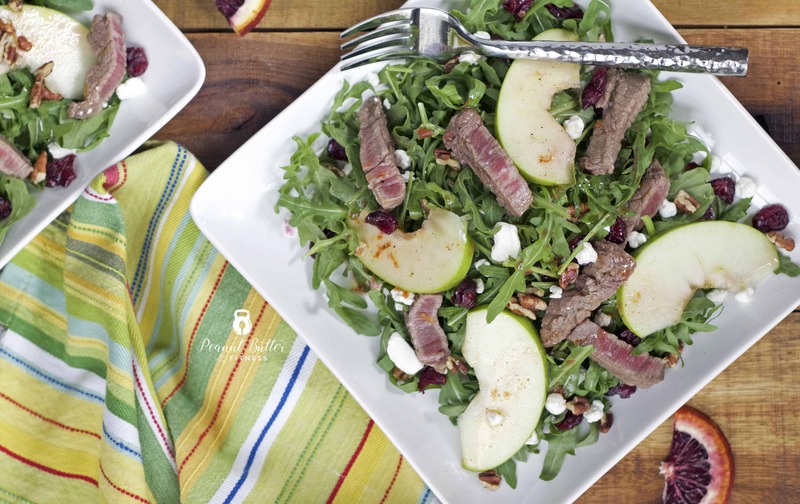 Here’s a look at how I packaged up this salad to keep it fresh all week…I used these jumbo silicone muffin cups to hold the steak (bonus: you can stick them directly in the microwave). Then I used little recyclable plastic containers for the goat cheese (not pictured) and the vinaigrette. And I packaged it all up in a FitPacker container.